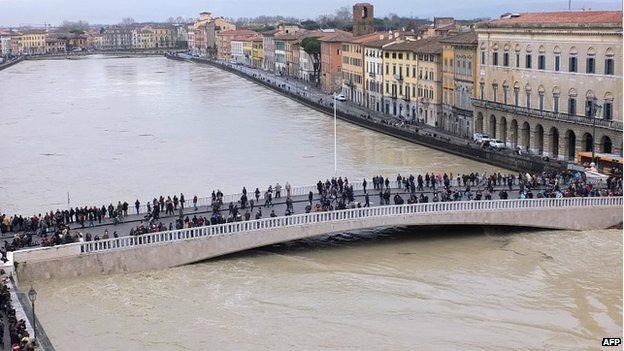 France and Italy are on flood alert as heavy rain brings chaos to parts of Europe. High seas are expected to cause widespread flooding along France’s Atlantic coast. Local officials declared a state of emergency and deployed rescue teams to help travelers trapped in their vehicles. Snow storms and strong winds have been sweeping across Eastern Europe. Italian media said a stretch of medieval wall measuring about 95ft in the town of Volterra, in the province of Pisa, collapsed as a result of heavy rain. VIDEO - Yahoo mail hacked: What can you do?